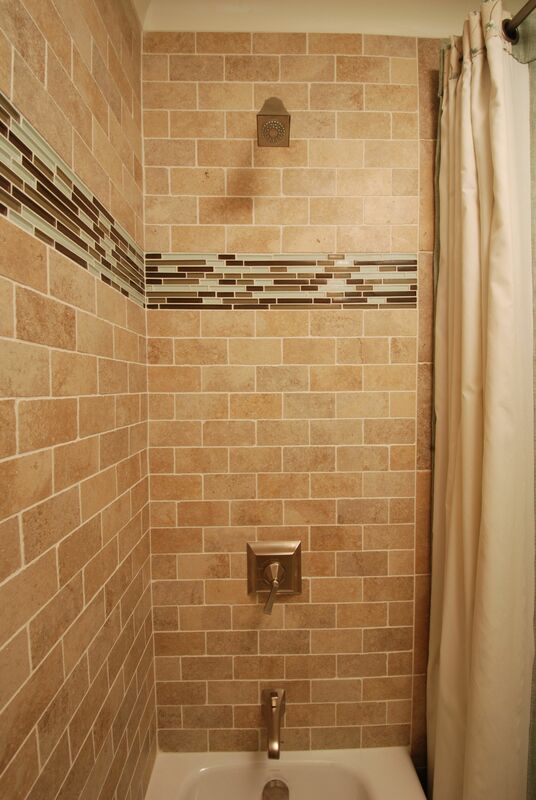 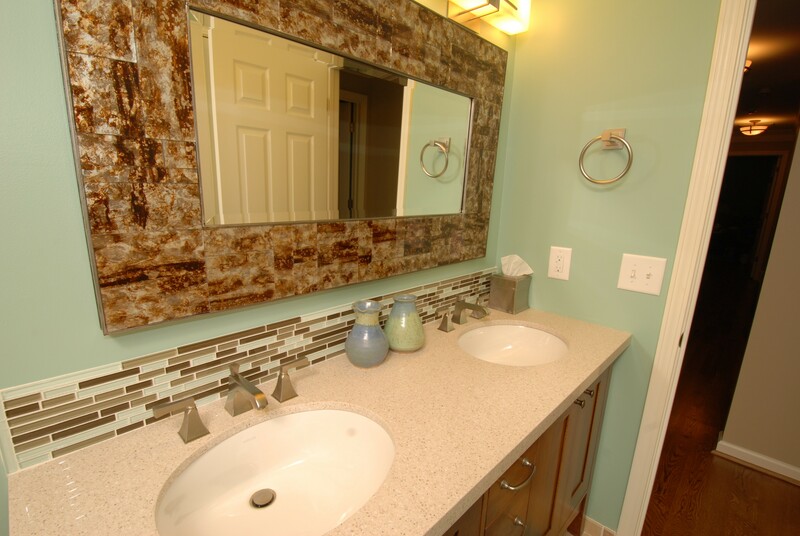 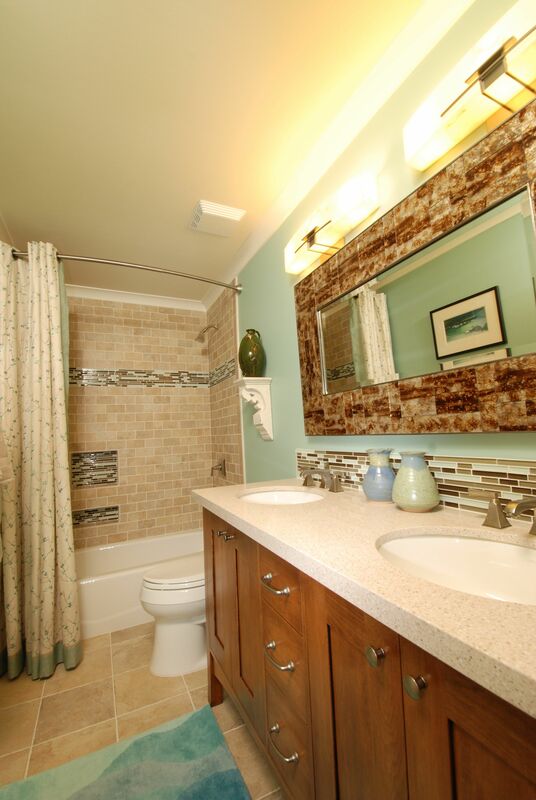 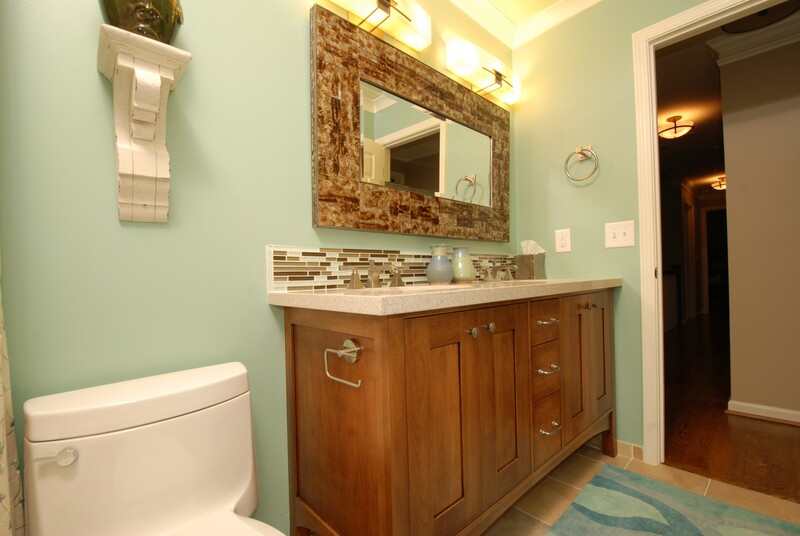 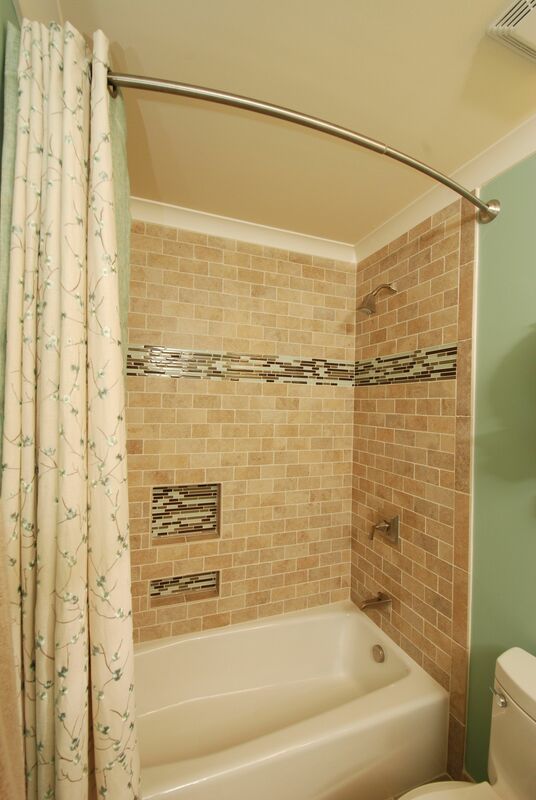 Our client’s guests can enjoy a spa feeling with this tranquil bathroom. 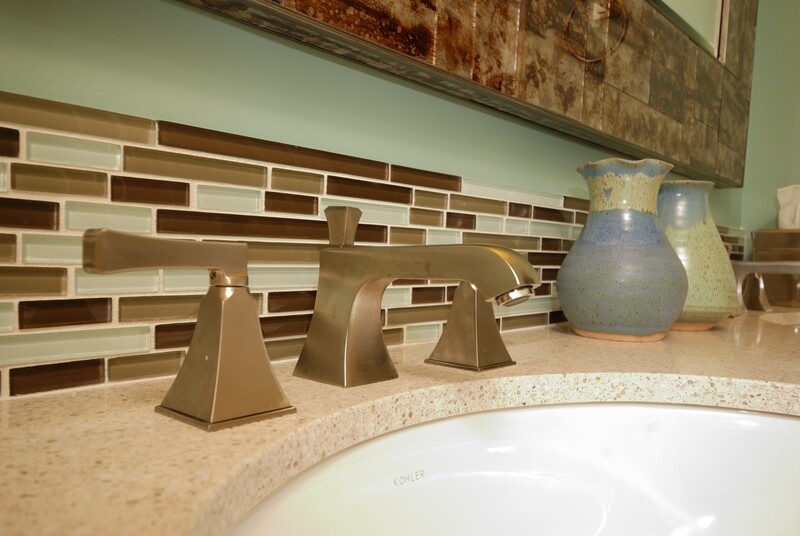 The cool wall color complements the warm toned cabinetry and tile. 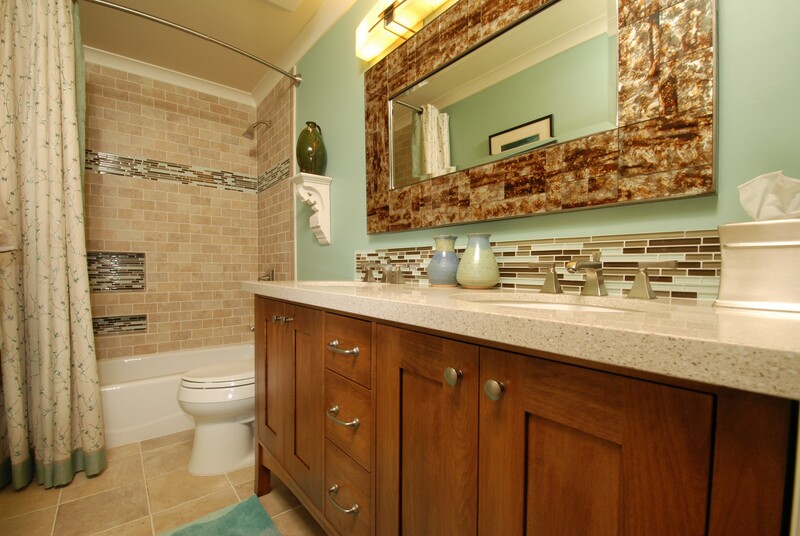 A glass tile border in a matchbook pattern draws ones eyes around the room and helps to elongate the space. 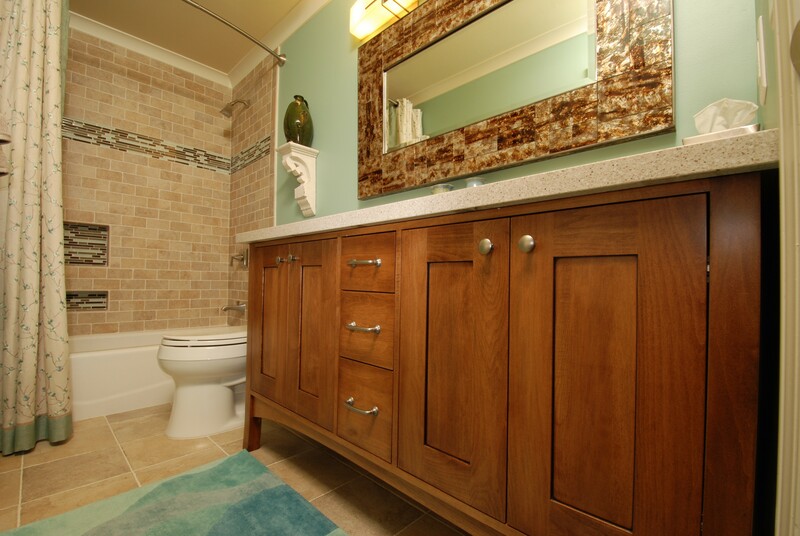 By installing a vanity with drawers, guests don’t have to keep their toiletries on the counter top, but still have them close at hand.